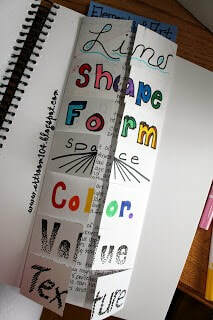 Let's create an Info-graphic pamphlet to help us remember the elements!! How do I make my Elements Info-graphic pamphlet? 1. 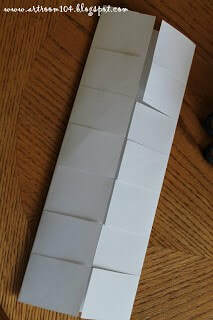 Lightly folding the paper in half to find the mid-way point, I'll have students fold the sides to the halfway point and then measure out seven equal sections. 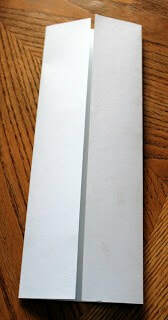 From there, they will cut slits to the fold. 2. 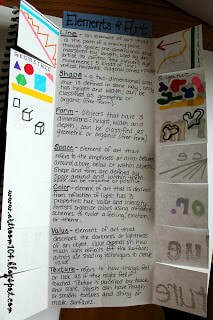 ​On the front, illustrate the elements of art to help remember the seven elements. On the inside, write the definition of each element. Please do a google search with your iPad for each element definition. 3. On the inside flaps, break down each element a little further with their illustrations. 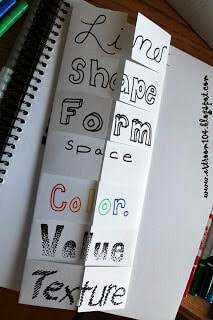 For example, shapes and forms can both be geometric or organic. They can showcase different shading techniques for value, different color schemes for color, and implied vs. actual texture for texture.